Pillow users your Apple Watch or iPhone for sleep tracking and reporting your sleep quality. What is the Pillow sleep app? Pillow is a sleep-tracking app for iPhone and Apple Watch. It uses various motion sensor and audio data (optional) to monitor and understand your sleep patterns. After every night’s sleep, a near-instant summary rates the quality of your sleep. It provides valuable data about wake times, types of sleep, and even time to fall asleep. One consistent complaint about the Apple Watch has been its lack of a real sleep-tracking app. Pillow fills that gap with tons of valuable information. It also integrates with Apple’s Health app, providing detailed data to form a more well-rounded health picture. Pillow features multiple built-in modes to make it extra-useful. An audio recorder can intelligently record snoring during the night. This allows you, as a snorer, to understand how disruptive you may be to loved ones. The built-in alarm clock goes hand-in-hand with audio recording, circumventing the issue of alarms not playing sounds when an app is active. Pillow gives a detailed analysis of your sleep and provides recommendations on how to sleep better. The Pillow Lab is also exceptionally useful for understanding your sleep. 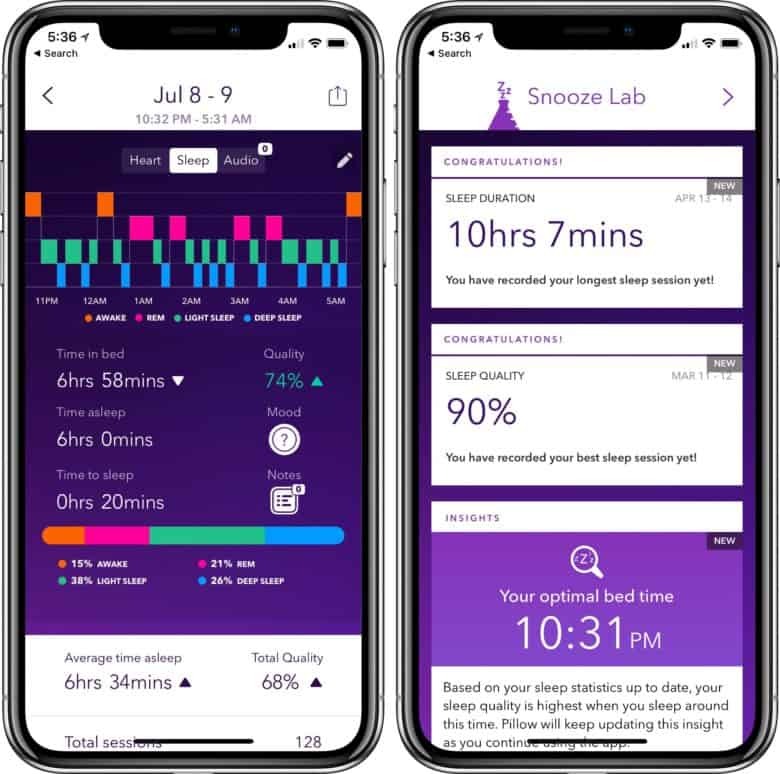 It provides ever-changing analysis into what your ideal sleep time is, your best or longest sleep sessions, and other personal insights to help you get the best sleep possible. These sleep insights can also be used to prompt you to head to bed at the ideal time. This helps to improve overall sleep quality and mental health. Anybody that is curious and wants to understand their sleep patterns should take a look at Pillow. Health and wellness gurus may also find it useful for understanding the complete picture of their shut-eye. Understanding how your sleep impacts your day-to-day life is important. Pillow helps give you a clearer picture of how restful (or restless) your sleep is. The more you know, the more you can do to improve your overall health, making Pillow incredibly useful. 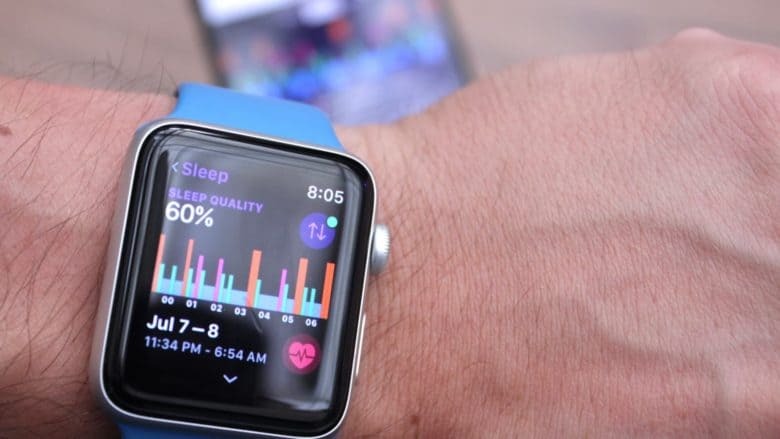 It’s the best sleep-tracking app for iPhone and Apple Watch.